Ferrari's Brazilian driver Felipe Massa got back behind the wheel of a Formula One car Monday less than three months after his life-threatening accident at the Hungarian Grand Prix. He drove the 2007 Ferrari race car at the Fiorano circuit near the Italian team's Maranello headquarters, Italian media reported. 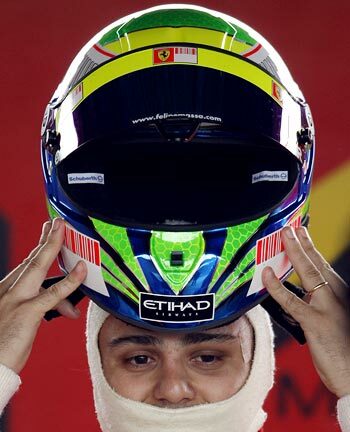 Last week Massa, who fractured his skull after being hit by bouncing debris during qualifying in Hungary in July, said he had slight hopes of racing in the season-ending Abu Dhabi Grand Prix next month. But the team made it clear before Monday's test that he will not make his competitive return until the start of next season. "In no way does it (the test) signify a return to competition in the near future," read a statement on Ferrari's website. "Felipe and the team want to proceed gradually and without any hurry to recover as well as possible from the effects of the accident that happened in Budapest back on July 25th. 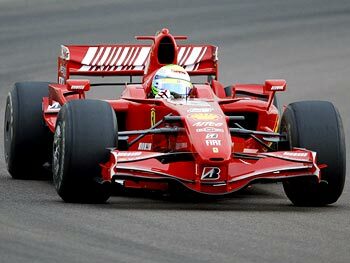 Therefore talk of a proper return to Formula 1 can wait until the start of the 2010 season."